Your time is precious, and particularly so when you are on holiday. If you are planning to spend your holidays in Italy, and perhaps visit the Vatican during that time, then the last thing you should be doing is standing in line, or getting up a crazy o’clock just to avoid a queue. Instead, spend a little of your precious time reading our Avventure Bellissime guide on how to tour the Vatican without waiting in line. 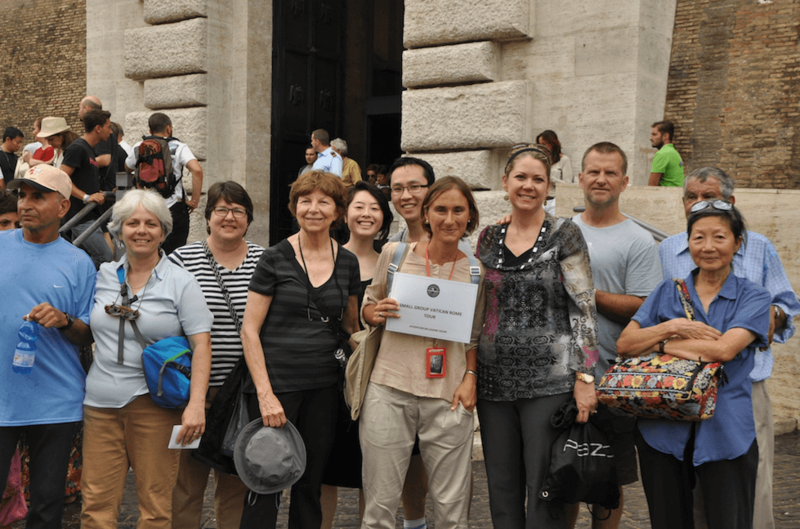 Many tour companies, including Avventure Bellissime, offer a skip the line Vatican tour. This means that you will indeed be able to tour the Vatican without spending time in the formidable queues. And, by touring with experts like ourselves at Avventure Bellissime, you’ll be able to visit on the day and at the time you wish to. 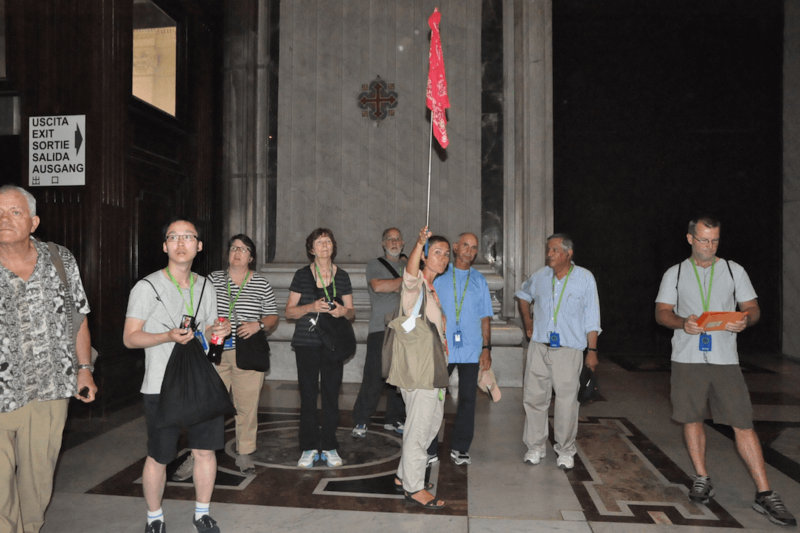 Since there is so much to see, you’ll get a guide to show you the museums, the Sistine Chapel and St Peter’s Basilica and Square. It’s personal, in-depth, and makes best use of your time by avoiding the queues (which shouldn’t be underestimated) and you won’t be spending time worrying if you’ve seen anything or which way you should go to find x, y or z.
It’s best to book your tickets and tour, if you wish to be part of one, in advance. Many tours do sell out, so doing your research and visiting early is advised, particularly during peak season. Also, when you arrive at the Vatican you are likely to be approached by people who say that they will be able to get you Vatican skip the line tickets. When you look at the length of the queue you may think that the offer is too good to be true, and most of the time it is and they should be avoided. To avoid any delay or missing your tour, make sure you are prepared for the dress code at the Vatican. You can’t wear shorts, bare shoulders, or short skirts. Attendants will turn you away at the door if you try to get in wearing any of these things. Everyone has to wait to clear the security gates before entry to the Vatican. The Vatican, Sistine Chapel, St Peter’s Basilica – they are all wonderful attractions that are sure to be a highlight of your Italian holiday. We hope that you’ll thoroughly enjoy the adventure and will be able to avoid the queue at the Vatican! At Avventure Bellissime – as Italian holidays experts – we have the privilege of helping visitors to Rome explore the beauty of the Vatican. If you are thinking of organising your holidays to Italy, please do visit our website at tours-italy.com We’re best placed to help you make the most of your Italian holidays. We offer a selection of Italian vacation packages as well as tours of Italy’s best-loved attractions – including the Vatican and Rome.